Female producing feminized strains, developed specifically for indoor setups. The connoisseurs choice, offering soaring, cerebral highs and uplifting stones. High quality feminized Indica strains, known for their powerful sedative stone. Feminized marijuana (Cannabis, Weed) seeds are specifically bred to produce 99% female plants. It is these female plants that produce flowers which over the course of the flowering stage develop into the glistening, fragrant buds that are dried, smoked and used to medicate. They are the pot of green gold at the end of the growing cycle rainbow. 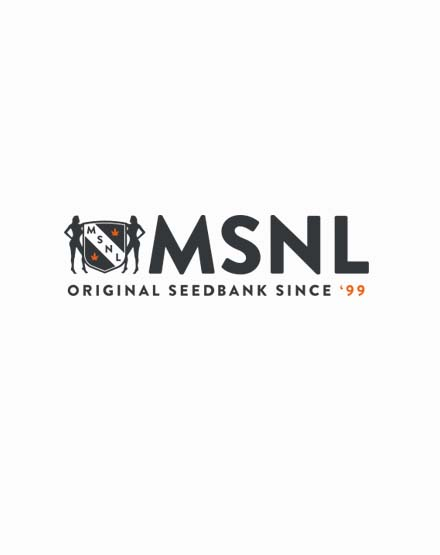 In recent years the evolution of weed seed production has allowed MSNL breeders to develop some of the finest feminized seed genetics available. By isolating and removing the male hormone our female cannabis seeds produce 99.9% female plants, allowing growers to increase the speed of production and range of strains they can produce at a given time. Although not always the case, it is generally the male plant that growers try to avoid as it the males which can cross pollinate, fertilizing the female plants in your setup. This leads to a lower quality final product that often leaves buds riddled with seeds. These highly sought after female marijuana (Cannabis, weed) seeds give growers full control over their operations helping eradicate any potential variations in phenotype and ensure only the finest buds are produced. Our range of feminized marijuana (Cannabis, weed) seeds is extensive and developed by our breeders to offer a variety of seeds for all tastes. They consist of Indica, Sativa and hybrid photoperiod and autoflowering genetics which contain Cannabis Cup Winners, Blue, Purple and Cheese strains amongst an array of other weed seed varieties. Perhaps it’s fitting then that the MSNL motif is guarded by two goddess like female figures, symbolising the eternal power of the female seed!